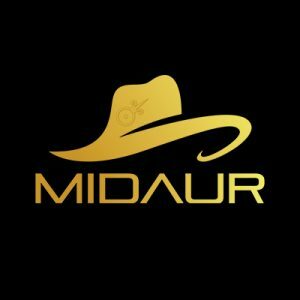 Midaur Casino is just a year old. It opened its virtual doors in 2017 and is owned by Infinity Gaming Solutions Limited, an Isle of Man-based operator. The company typically provides top-notch gaming solutions to start up and early stage online casinos, but Midaur Casino is their very own site. We’re not quite sure where the name ‘Midaur’ comes from or what it means, but according to Infinity Gaming, the name is associated with the Greek mythological King Midas. If you know anything about King Midas and Greek mythology, you’ll know that everything he touched turned to gold. In fact, “aur” at the end of ‘Midaur’ hails from Gaelic terminology and AU is the periodic table symbol for gold. The online casino is licensed and regulated by the UK Gambling Commission and the Isle of Man Gambling Supervision Commission. It’s a fairly new and highly exciting online casino that claims to provide the next generation of online casino user friendliness and top-notch gaming. The casino boasts a whole host of loyalty and bonus programmes aimed at increasing player retention and conversion. At least, that’s what the About page says. It’s a little unusual for an online casino to use the type of terms it would normally throw out to stakeholders for players, we think, and it’s About page lacks a little gaming warmth we’d usually find at online casinos that want us to sign up. There is, however, a little more information at the casino within its FAQ section where you’ll learn that this operator has over 20 years of experience in the iGaming industry. While the site is mainly aimed at British players, players from other territories may also be eligible to play at Midaur Online Casino. The site is dripping in gold branding, so we’re wondering if all that glitters at Midaur really is gold? Now, here’s what we already love about Midaur Casino. There are 3 types of Welcome Packages – a deposit bonus, a no deposit bonus and free spins. That’s a really good way to kick off play. You can only meet the wagering requirements for bonuses with real money bets and any bets made with the bonus balance don’t contribute to the playthrough requirements. Deposit £25 and the casino will match it 100% with another £25. Any winnings from your bonus are added to your bonus account and to release the funds, you must meet the 35x wagering requirements. It’s worth noting that not all games contribute to playthrough. Slots, video slots, soft games and scratch cards all contribute 100% to wagering requirements, wile video poker, table games, virtual sports and live games don’t contribute at all. A no deposit bonus is just that – Midaur Casino gives you cash to play with as soon as you open a new player account at the casino. The no deposit bonus also carries a 35x playthrough requirement before you can withdraw it or any winnings you make of it. At the time of our review, the casino did not state how much the no deposit bonus is. Midaur Casino also states that it regularly offers members free spins on great games. With free spins, wagering is predetermined and can vary according to the promotion. Winnings from your free spins are transferred to your real money account once you’ve wagered it 5x. One of the benefits of this casino’s bonus system is that it offers flexibility to choose whether you spend your deposited money or your bonus money. Should you be lucky enough to win your original deposit, you’re not tied to wagering requirements and you can withdraw your cash right away. The casino also has a VIP scheme and you can even upgrade your VIP status by playing and depositing more. The system looks pretty standard, if not a little more generous than some other online casinos. Accumulate enough points, and you can convert them to free spins, cash to play with or even buy stuff from Midaur Market where there’s everything from drones to luxury holidays. The cashout time at Midaur Casino is 18 hours and reversal take just 24 hours. You cannot cashout on weekends at this online casino and there are no payout limits, which is handy for high rollers! If you love online slots, you’re going to want to sign up at Midaur Casino. In fact, you’re in for a real treat. All the amazing slots at this casino come packed to the brim with incredible features, and there are more than 500 titles to choose from. You’ll definitely want to have a go on some of the classics like Spartacus Gladiator of Rome, Electric Sam, Buster Hammer, Foxin’ Wins Again and Action Bank, amongst many others. While slots are always a player’s favourite, any online casino worth its weight in gold would be nothing without a decent selection of modern and traditional table games. 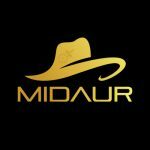 If you like control over the outcome of your gambling, you’re going to enjoy the assortment of skill-based games at Midaur. There’s everything from the classics, like baccarat, roulette, blackjack and craps to sweep you off your feet, and then there are a whole bunch of variants of each game, so you can try your hand at different strategies. Overall, Midaur Casino offers up an incredible 1,000 casino games (if not a few more) to suit the preferences and bankroll of all types of online casino players. Some other popular slots to look out for include Gorilla Go Wild, Hong Kong Tower and Taco Brothers. Sometimes you just fancy the razzle and dazzle of a land-based casino, without having to get dressed, of course. At Midaur Casino, you can step into the live dealer games and enjoy all the action, sights and sounds and even chat to the professional croupiers. The live casino games at Midaur Online Casino are powered by Extreme Live Gaming and include blackjack, roulette and poker. If you’re more of a human contact kind of player, and you love these games, you have got to check out Midaur’s live casino, where real dealers in real time will ensure your gaming experience is unforgettable – all without having to buy a ticket to Vegas for live action! These days, we’re just busy. We’re on the go. We’re barely sat down in front of a PC. Yet, we need our casino fun. If this sounds like you, you will be thrilled to hear that Midaur Casino has a mobile version, so you can play the latest and greatest games wherever you are, whenever the whim arises. Midaur has developed a mobile interface and has optimised its games for play on smartphones and tablets. Whether you prefer a smartphone or tablet, you can enjoy the same amazing casino experience as you would on your desktop PC. All you’ve got to do is connect your mobile device to the internet and you’re ready to spin those reels, spin the wheel or play some serious cards. Midaur Casino is adamant that players have a safe, secure and fun online gambling experienced. That’s why this online casino operator uses the latest SSL-encryption software to ensure all your personal and financial data is always under virtual lock and key and safe from underhanded parties. What’s more, the site uses suitable security policies, rules and technical measures to ensure fair and responsible gambling. Thanks to the use of Random Number Generators, every player has a fair crack at this online casino. Midaur Casino is licensed and regulated by both the UK Gambling Commission and Isle of Man Gambling Supervision Commission which means it adheres to strict rules and regulations, too. Sometimes, something goes wrong when you’re having fun. Or maybe you’re a casino newbie and need help with signing up, making deposits or claiming bonuses. No need to panic! The customer support services at this casino ensure you get the right help on time, every time, no matter when you need it. Midaur Casino has a team of well-trained and friendly professionals in place to handle all your comments and queries. You can get in touch with a customer support agent through email, which is available Monday to Friday from 6pm to 9pm as well as Friday to Monday from 6pm to 9am. The team endeavour to reply to emails as soon as they get them, but it you urgently need help with something, live chat support is available from Monday to Friday between 9am and 6pm. There’s also a customer support hotline, if you prefer to actually chat to someone on the other side. Midaur Casino proves that all that glitters is gold in terms of bonuses, promotions and an awesome assortment of games. The imagery, design and choice of online casino games is impressive, making this site ideal for mobile and tablet users, live casino fanatics and players of all preferences. We do wish the live chat feature was available 24/7, but if you have a fairly common query, you might be able to find it in the FAQ section. The promotions page is a little sparse, but at least there’s a choice of welcome packages and the banking options are straightforward. We like that there’s no withdrawal limit. Midaur Casino is a good online casino. It works, and it’s well worth checking out for yourself.